Winning with shoppers has never been more crucial as competition intensifies for the shopper’s spend. Traditionally, manufacturers and retailers have focused their efforts at the category level on how best to meet the shopper’s needs, but as their baskets get smaller and trips fragment, retail leadership now requires taking a wider ‘department’ view. This solution focused view helps to address the broader shopping occasion influencing choice. Department Transformation starts by intimately understanding the motivators and barriers behind the way shoppers select and purchase today. Once understood relevant strategies to expand usage and loyalty in pursuit of your business goals can be developed. By re-orchestrating the overall shopping experience whether online or in the store retailers can reposition multiple categories into a department level experience that drives sustainable growth. Definition: Establish the department definition and the categories as the shopper sees it. Define all shopper purchase options: retail, online, service industry, and the size of each market sector. Insight Landscape: Assess the attitudes, behaviors, and dynamics through various inputs such as the consumer, shopper, categories, market, and outlets to establish an insight map and uncover growth opportunities. Vision & Goals: Based on these key insights and your long term business objectives, TPG helps develop a long term vision and goals for the department. 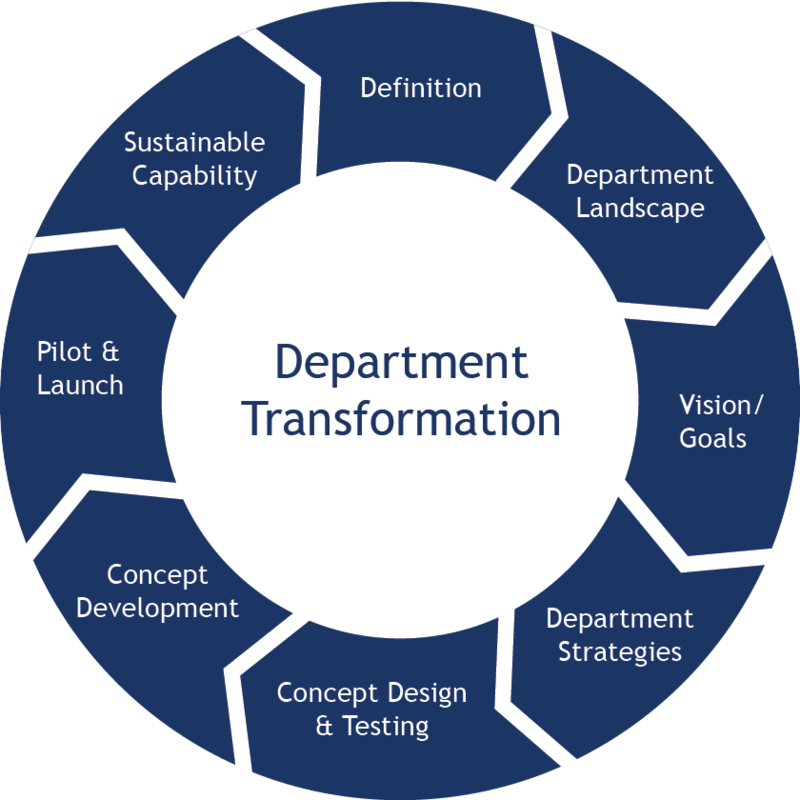 Strategic Platforms: TPG and the retailer cross-functional design team develop a set of consumer & shopper centric strategies along the path to purchase to transform the department and achieve the scorecard benchmarks. Validated parameters are set in several areas including macro/micro space allocation, assortment strategy, shopper marketing, and more. Concept Design & Testing: TPG facilitates ‘Ideation” sessions rapidly to develop ideas, identify shopper barriers and discover opportunities. Solutions are then developed spanning online, store design, product innovation, associate training and supply chain. Concepts are then taken to shoppers for testing and validation. Concept Development: Winning concepts are brought back to the team for further design refinement, commercialization, and financial modeling. Pilot & Launch: TPG develops test and control store criteria and objectively/transparently measures the lift over time through pilot refinement steps until a tuned version can be rolled out. This often involves enrolling suppliers in the expansion and rollout plans.